Aoy is one of Thailand’s top female Salsa dancers. She has mastered a lot of different Salsa styles and is always adding new moves to here repertoire. She has been travelling several times to the US for learning with some of the best teachers. Since last years she has also started to perform on different occasions with her dancing partner Roj. She represented Thailand at the Salsa Hong Kong Congress 2005 (with Roj) and the 1st annual Salsa India Fiesta 2005 (with Joschi). 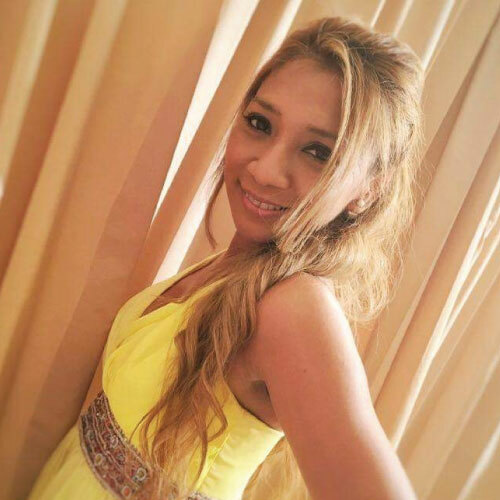 Although she claims not to be a teacher, she has always generously shared her skills and knowledge with the Salsa crowd in Thailand and beyond and conducted a number of lady’s styling class at La Rueda.